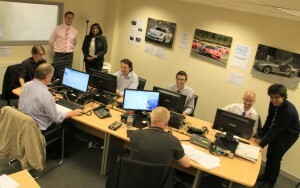 Fleet tuning and corporate support team – Viezu Viezu Technologies has assembled the largest Fleet Support Team in the industry ensuring the very best service, reliability and consistency for our large fleet and commercial tuners and vehicle operators . The Viezu fleet tuning team is entirely dedicated to supporting corporate fleet clients with fuel saving and carbon reduction tuning initiatives delivered through ECU remapping. An innovative solution for large fleet operators, stringent measures are applied to guarantee the client receives real fuel saving results.